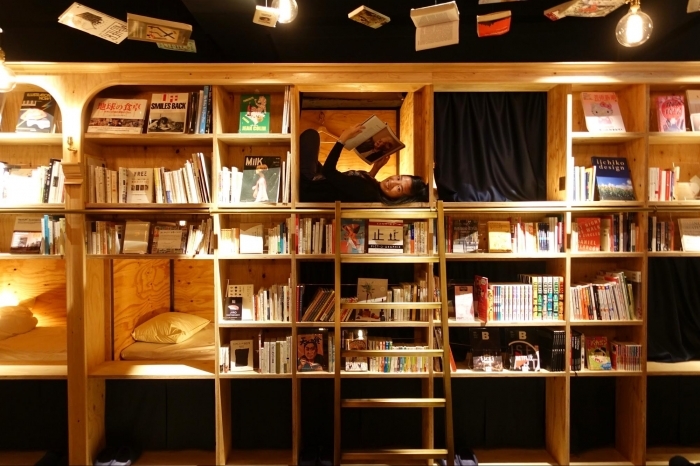 Drift off to sleep amidst 1,700 books in this unique hostel in Ikebukuro, Tokyo. 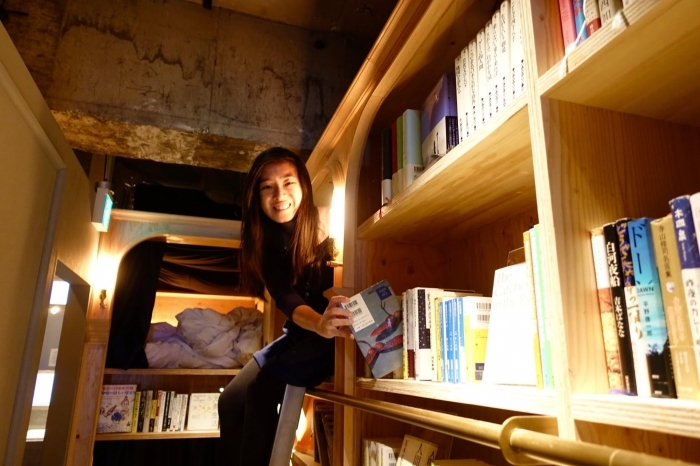 Book & Bed Tokyo offers capsules and bunks in their bookstore-themed hostel. This is for all the bookworms out there, me included. 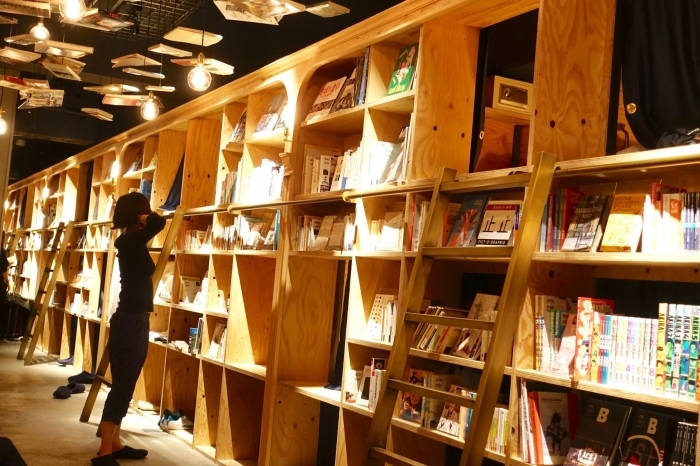 If you’ve ever had a dream of drifting off to sleep whilst surrounded by books, books and more books – this is the place for you. 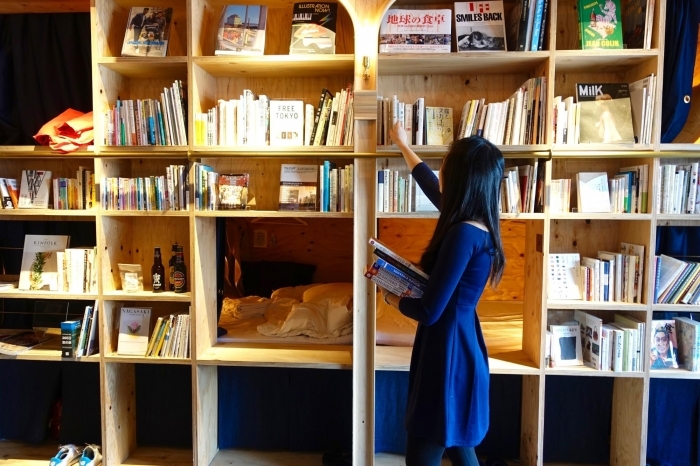 Book & Bed Tokyo is a bookstore-themed hostel that brings the phrase ‘curling up with a good book’ to a whole new level. 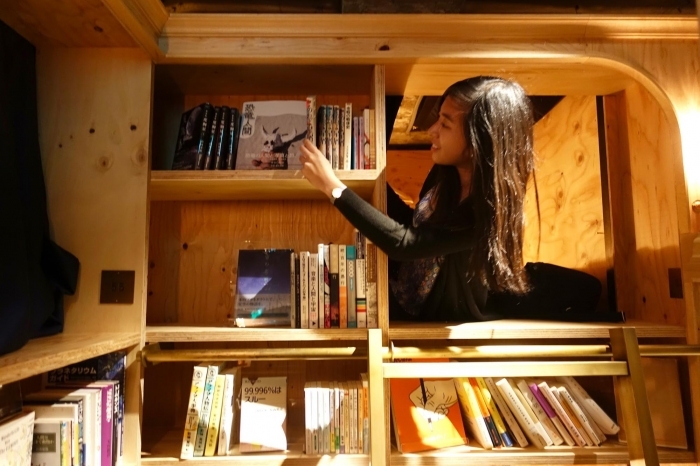 Recently opened in November 2015, it offers capsules hidden behind bookshelves laden with over 1,700 books! 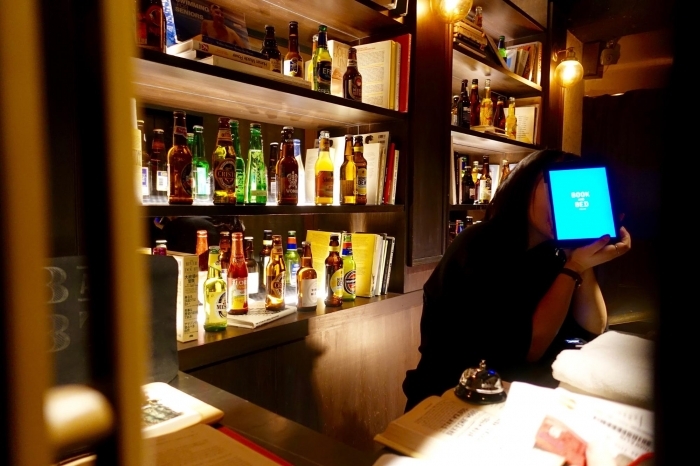 While Tokyo is known for its quirky accommodation – offering travellers the chance to sleep in capsule hotels, love hotels, hotels modelled after airplane cabins and even hotels manned by robots – this one takes the cake! The capsules are decked out with the basic furnishings (a mattress, pillow, blanket, and a couple of hangers), and even come with a safe, a handy power point and a glowing electrical lantern. There are no doors for these capsules, with a black-out curtain being the only means of privacy. The hostel thoughtfully places ear plugs in each capsule to cater for those worried about noise. Yet, I never found any use for these – the people here shuffle along silently and converse in hushed tones; the whole place felt much like a real library, and offered a peaceful haven from the otherwise frenzied bustle of the streets below. Don’t expect anything fancy, however – the website proudly warns guests that “the perfect setting for a good night’s sleep is something you will not find here”. Instead, they dangle the promise of an experience like no other. The capsules are stacked on top of each other, and are neatly laid out in two rows. Whether you’re allocated the top or bottom capsule, you’ll be able to easily reach out and choose your book from the comforts of your own bed! 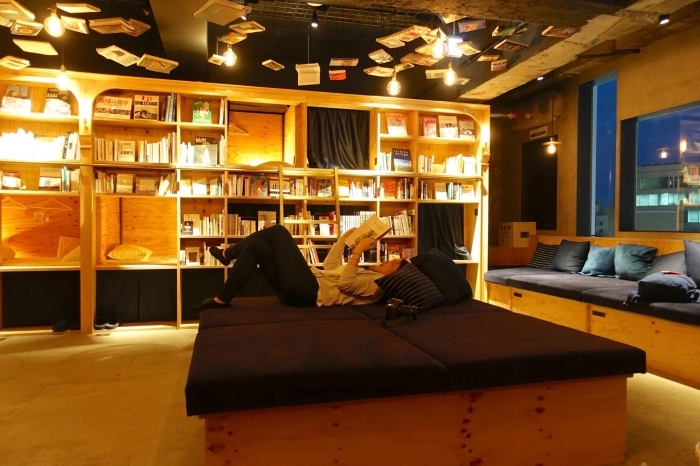 In fact, guests at this hostel are encouraged to drift to sleep whilst immersed in a good read. 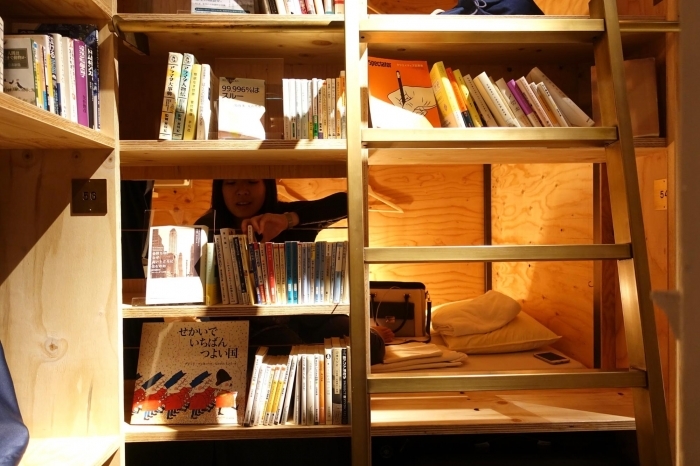 Here, you can, quite literally, read yourself to sleep. It’s the perfect way to unwind after a full day of exploration! If, however, you prefer to chill outside the capsule, there’s a large common area filled with sofas and comfy cushions. There are multiple power points at the common area as well, should you feel the need to have your technological devices on hand. My advice to you, however, is to disconnect . 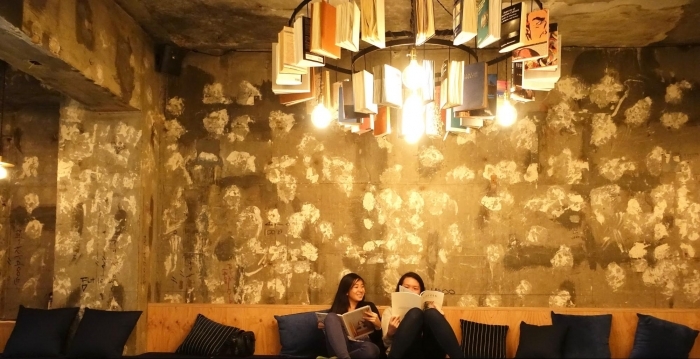 Even if it’s just for a few hours or for the night, put aside all your modern trappings and experience all the magic the hostel (and its books) has to offer. 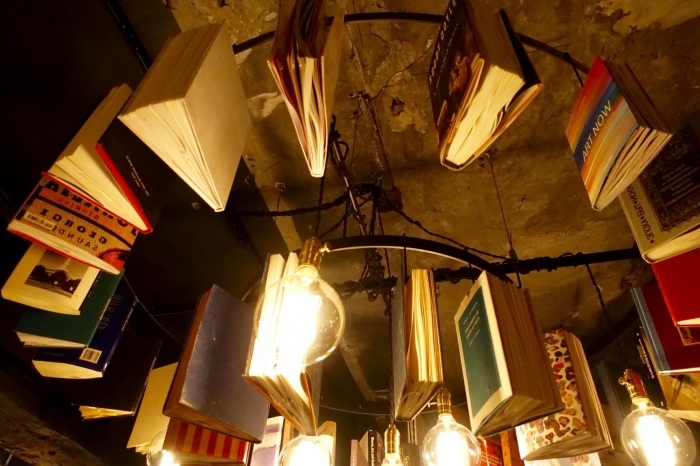 If you haven’t figured it out by now, every inch of the hostel is a potential photo backdrop; even the ceiling lights are surrounded by a mesmerising spiral of time-worn books. If you’re visiting with a friend, the sofas are a great area to have a chit chat whilst flipping through a book, or to make friends with other guests hailing from all around the world. There’s a quiet comfort in watching others ponder over which book to choose, and some form of solace in watching them furrow their brows in concentration before breaking into a smile when a particular book catches their eye. I liked to look up from my book from time to time just to observe the other guests; it felt just like people-watching from a café, but better. 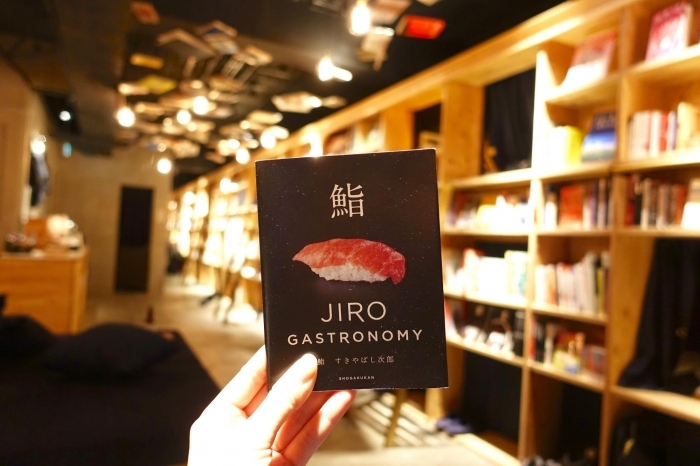 There are both Japanese and English books, and even books about sushi. 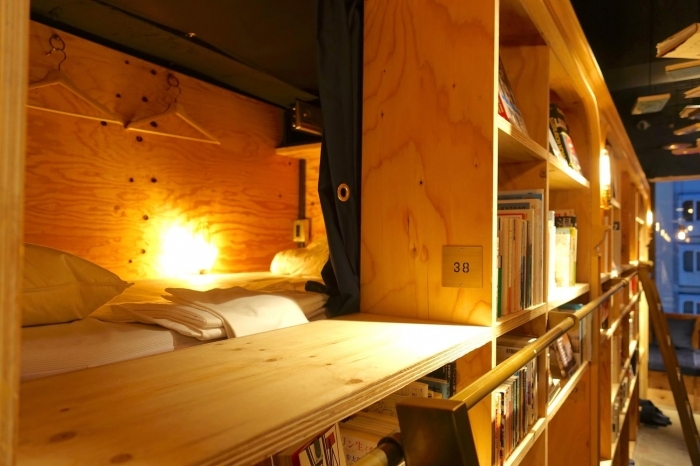 Because what less can you expect from a hostel in Japan? If you can’t decide – because trust me, you’ll be quite spoilt for choice – simply pick a couple and bring the whole stack with you. Just be sure to take note of where you took the books from, so that you can return them to their rightful place after you’re done with them. If you’re wondering about the toilets, be rest assured that they’re modern and kept impeccably clean. As this accommodation is dormitory style, the toilet is a shared one. It contains multiple shower rooms and bathrooms, as well as four sinks to accommodate multiple guests. I found the toilet to be a little crowded at night; there might be a bit of a wait, but what’s a queue when you have lots of books on hand to kill time? The hostel rents out towels for 600 yen (~SGD8), and has amenity kits on sale for 500 yen (~SGD6) that contain toothbrushes, shampoo, soap, etc. There is also a hairdryer available for use, except from 12am to 7am. 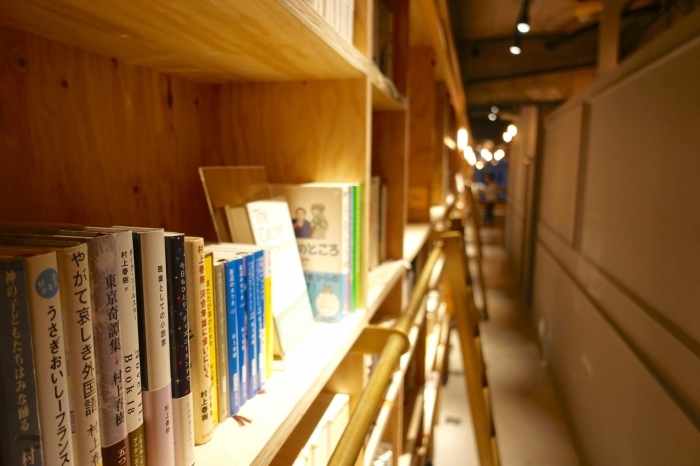 The hostel is located in Ikebukuro, which is a major district in Tokyo. Take exit 8 from Ikebukuro station, walk straight and you’ll spot the Lumiere Building on your left. Book & Bed Tokyo occupies the seventh and eighth floor of the Lumiere Building, with the check-in counter on the eighth floor. 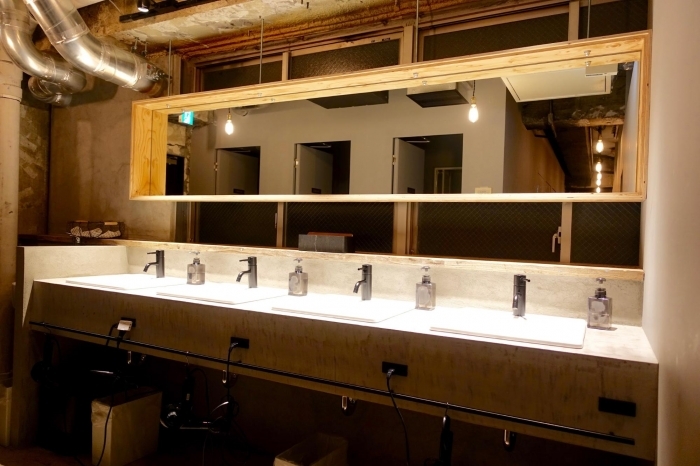 The eighth floor also doubles up as the ‘Book & Bar’, selling various Japanese craft beers and other alcoholic beverages. The receptionist is really friendly and will give you a brief run-through of the entire place upon check-in. What I found really adorable was her parting statement, when she chirped, “have a book night!” This also, coincidentally, doubles up as their Wifi password. How cute is that! Make your next trip to Tokyo a special one and choose this accommodation that’s, for lack of better phrasing, simply quite extraordinary . The hostel can only accommodate 30 overnight guests at a time; take your pick from those behind bookshelves or capsules that come in the form of ordinary bunks. There are also two capsule sizes, and guests can choose from a ‘Compact’ capsule or a ‘Standard’ capsule. 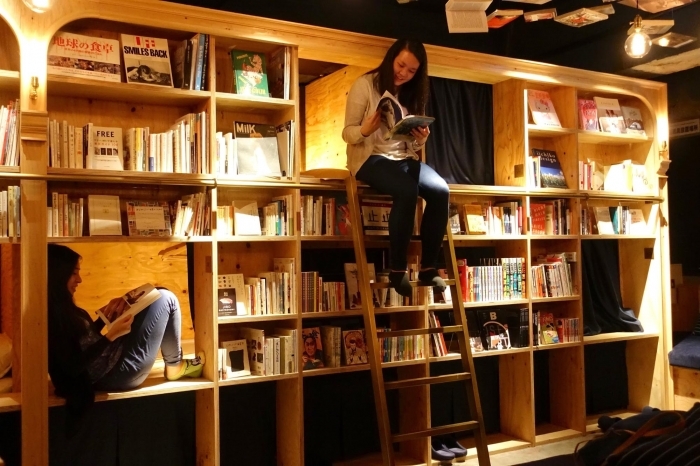 Do take note that Book & Bed Tokyo is immensely popular – of course, why wouldn’t it be? – and often runs on full occupancy. 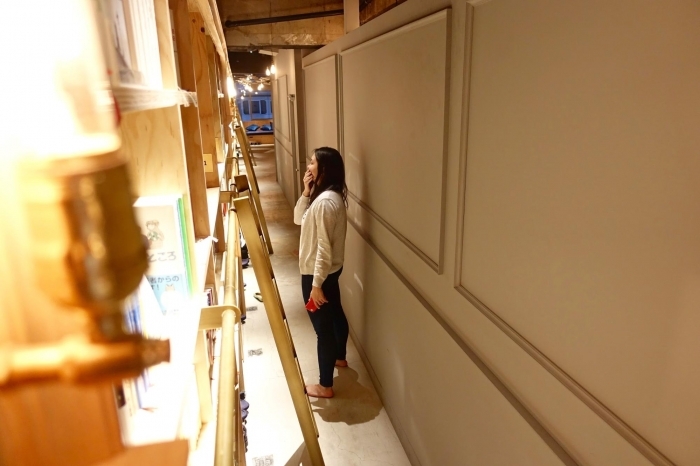 If the hostel is already fully booked during your projected travel dates, non-guests can use the common space from 1-5pm for a nominal fee of 500 yen (~SGD6). 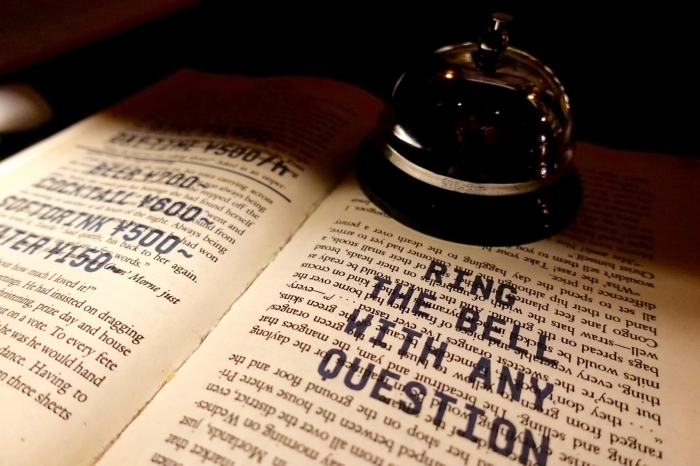 So do head over to check out this gem of a hostel even if you aren’t able to stay the night! Capsules otherwise cost around 4,800 yen (~SGD61) for the ‘Standard’ size and 3,800 yen (~SGD49) for the ‘Compact’ size. Stepping into Book & Bed Tokyo was like stepping into a whole different world; I absolutely loved my stay here, and wished I never had to leave. 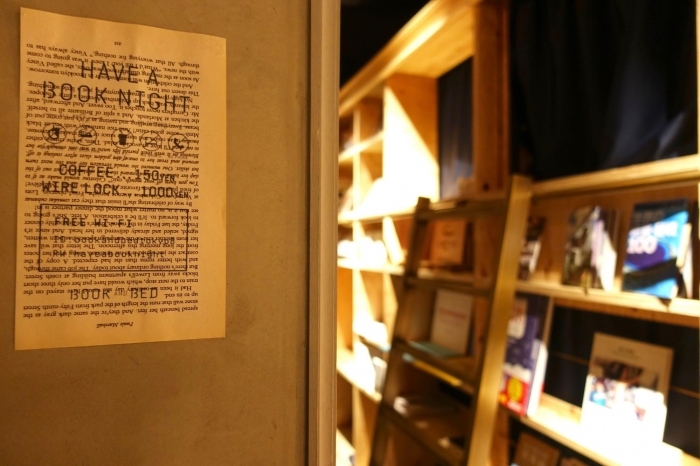 Do check out Book & Bed Tokyo’s official website and book in advance to secure your capsule – it’ll definitely be a night for the history books.